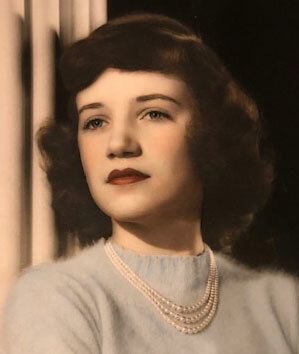 YOUNGSTOWN - Funeral services will be held Sunday at 3 p.m. at the Higgins-Reardon Funeral Homes, Boardman-Canfield Chapel, for Jeannette Evelyn Welsh, 88, who died Thursday morning at Hospice House surrounded by her family. Jeannette was born July 1, 1930, in Youngstown, the daughter of Arthur R. and Lingerette (Bonnell) Moore. She was a 1949 graduate of South High School and worked for the Mahoning Valley Campfire Council for many years until retiring. Jeannette enjoyed reading and solving crossword puzzles. Most of all, she cherished the time she spent with her family, especially her children and grandchildren. Her husband, Charles M. Welsh, whom she married Feb. 14, 1953, died June 26, 2003. Jeannette is survived by four daughters, Susan M. (Gary) Campbell of Poland, Karen M. (John) Levis of Lakewood, Kimberly A. (Joseph) Guerrieri of Youngstown and Shannon L. Welsh of Auburn; three sons, Charles P. Welsh of Lutz, Fla., Kevin P. (Loretta) Welsh of New Port Richey, Fla. and Peter J. (Francine) of Harrisburg, Pa.; brother Robert Moore of Ocala, Fla.; brother-in-law T. Gordon Welsh of Boardman; 12 grandchildren; 12 great-grandchildren; and six nieces and nephews. Family and friends may call Sunday from 1 to 3 p.m. at the funeral home. Jeannette’s family would like to thank the staff at St. Elizabeth Boardman Hospital 4 West and to the Hospice House for the exceptional care and compassion given to Jeannette. In lieu of flowers, the family has requested that material tributes take the form of donations to the Friedreich's Ataxia Research Alliance, 533 W. Uwchlan Ave. Downingtown, PA 19335.